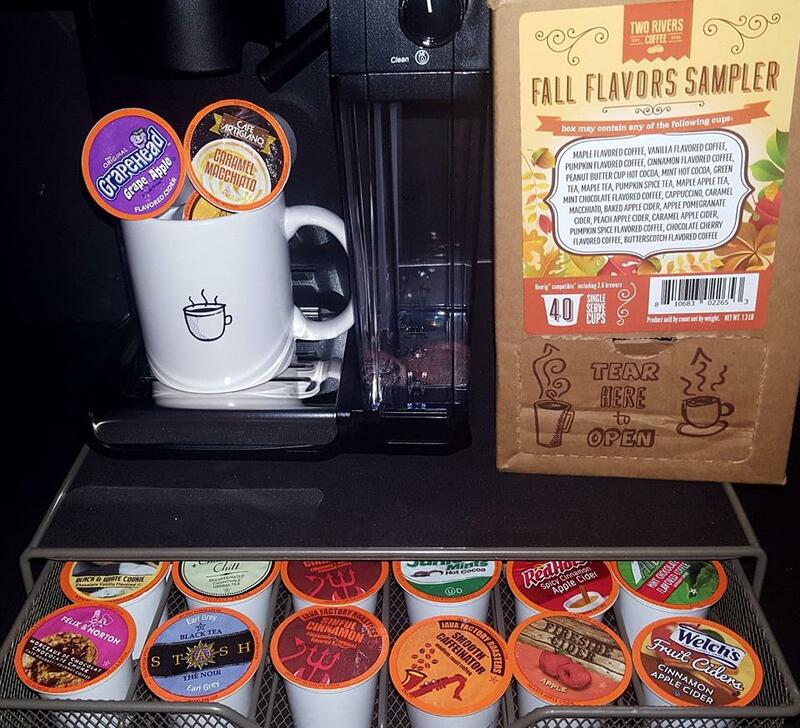 Sampler K-Cup & Coffee Drawer Giveaway! 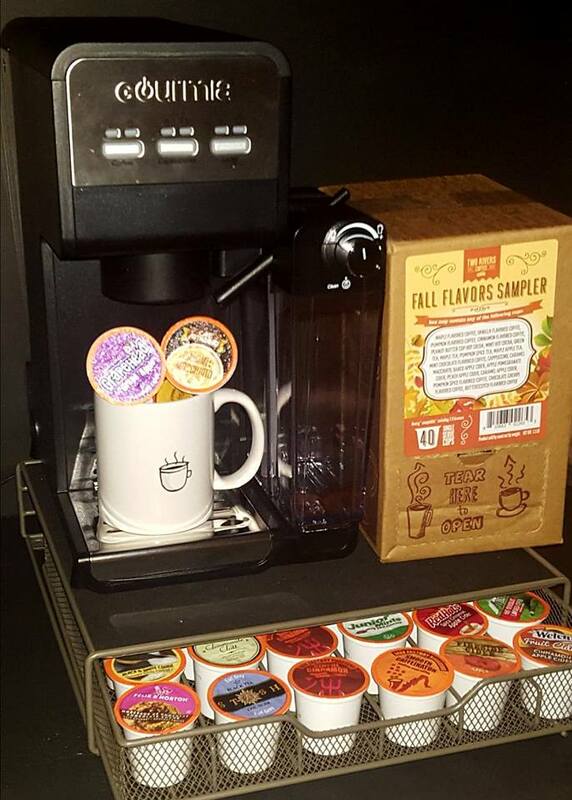 1 Winner will receive a box of the Two Rivers Fall Flavored Coffee Sampler & a Coffee Drawer Giveaway. The total value of the prize is around $70. Buy the Two Rivers Fall Flavor Sampler now by clicking here and follow them on Facebook to stay up to date of the new flavors! My daughter in college is such a big coffee drinker that she chose having her Keurig with her over having a microwave. I love coffee and I LOVE fall!! The Fall Flavors sound delicious!! My boyfriend goes through coffee like there is no tomorrow! This would be an awesome win! YUM! I love coffee and all the flavors of fall. I gotta try some (all) of these. Sounds yummy and that coffee drawer would be so handy!